NJ TRANSIT’s River Line light rail service is a bit of an oddity. Conceived for reasons immersed in New Jersey politics, connecting Trenton and Camden along a 35-mile route, it is more like the “interurban” lines of a century ago than the usual urban light rail. 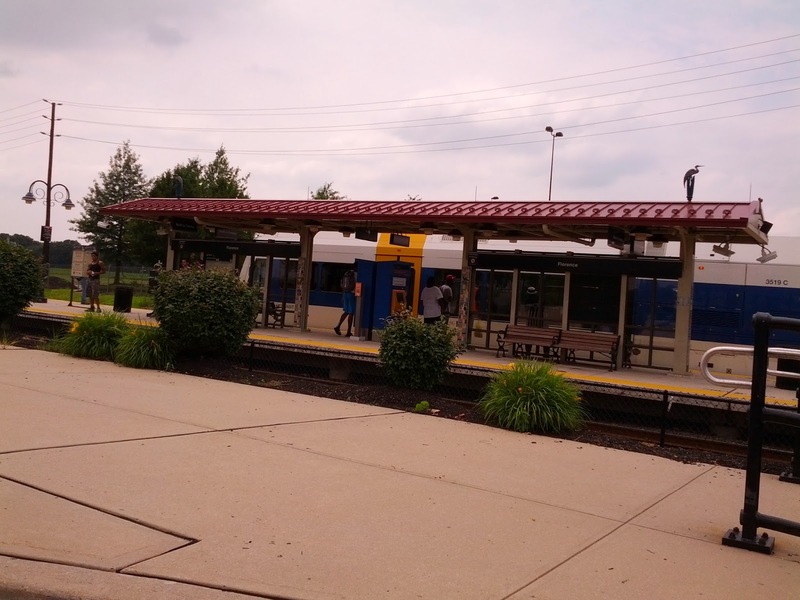 The River Line continues to grow in ridership and, after a slow start, is beginning to show signs of encouraging the sustainable economic development we want to see. The opportunity for the future? Transit Oriented Development. And in some locations (thanks to the Center for Neighborhood Development for the term) Cargo Oriented Development. The photo below shows the Florence River Line station, which is located in the middle of a growing industrial park. Putting transit and industry together can work (see story here). The ideal combo? A planned center with multimodal goods movement, high-tech 21st century manufacturing, road/rail/water accessibility, and transit access. Oh yes, and electrified local delivery vehicles to further reduce carbon footprint. It can happen in Florence and Roebling and some other places along the River Line, and at potentially many locations in the northeast and rust belt. Don’t expect a branch of the Uffizi to locate here though. Washington’s Silver Line Open for Business!